C17 farmhouse with spectacular views over Martindale and towards Ullswater. 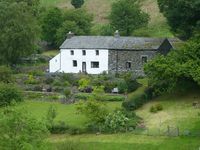 Property 3: C17 farmhouse with spectacular views over Martindale and towards Ullswater. Greenbarn is a peaceful retreat with fantastic views in Matterdale, Ullswater. 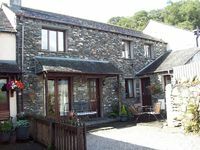 Property 7: Greenbarn is a peaceful retreat with fantastic views in Matterdale, Ullswater. Great house in a great location for hiking, relaxing, walking to pub for dinner, &amp; enjoying friends. We had a wonderful time at the Barn House.... very well equipped kitchen, extremely clean, and delicious gingerbread cake upon arrival! It was clear that our hosts had tried to think of everything we might need. Lovely house in the lake district. The property was very cosy and we had a great weekend hiking in the lake district.